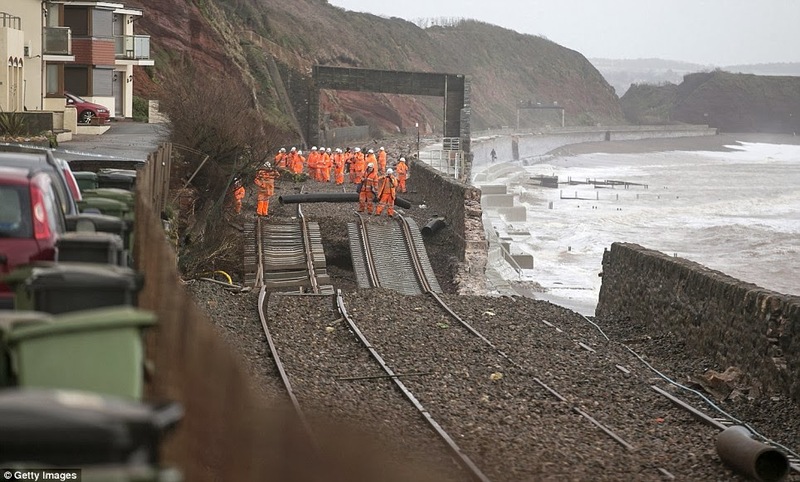 Winds up to 92 mph that battered the British coast have destroyed the coastal railway line and many houses have washed away into the sea. 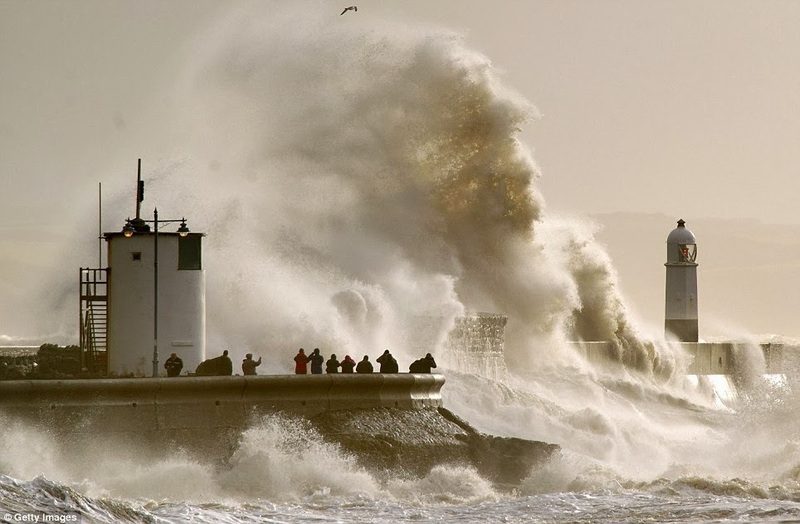 And the winds and storm is not stopping, Met office predicts Gusts of up to 70 mph expected inland across parts of south Wales, Devon and Cornwall, Somerset, Dorset. 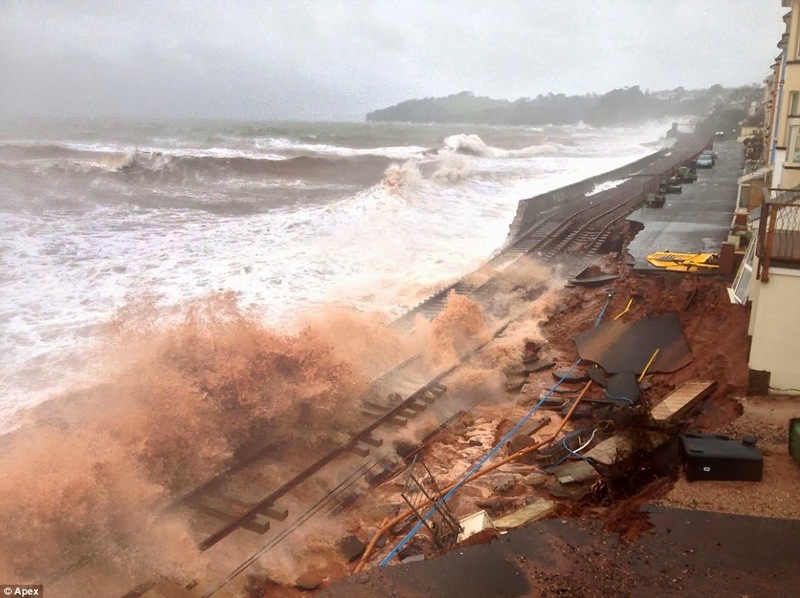 The raging and fierce seas ripped a gaping hole in the coastal road, shattering tarmac and ripping holes in the the picturesque properties standing on the sea front, forcing residents to evacuate.